Johanna Dreisbach provides counsel on BaronHR Family of Staffing Companies legal matters, primarily focusing on contracts, labor law and regulatory compliance. Fluent in both English and Spanish, she is an effective communicator, a skilled negotiator, and a proficient/productive mediator. 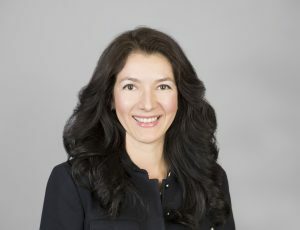 A native of Colombia, Dreisbach earned her law degree from the University of Saint Buenaventure in Cali, Colombia. She later accepted a position as in-house counsel at Fiduciaria del Pacifico, where she focused on financing issues, contracts and labor law. Dreisbach immigrated to the United States in 2000 and was subsequently accepted into the California Bar. In 2005, she launched an independent legal practice in Long Beach, Calif., which she led until joining BaronHR Family of Staffing Companies in 2014.